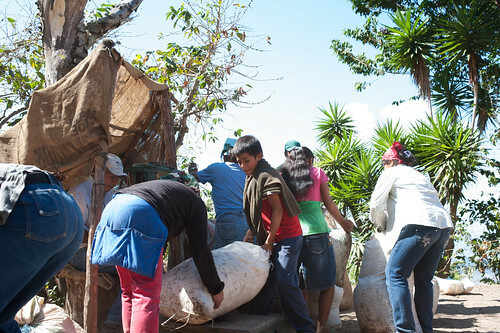 Back in October last year, we started offering coffee from Finca El Zarzal. This year, we made our trip to San Vicente in El Salvador to meet Ben Argueta, the farm owner, and to visit Finca El Zarzal. 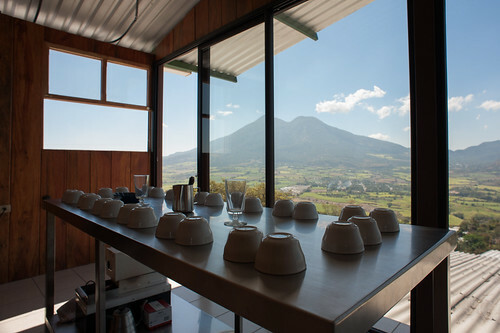 During this trip, we had the honour to break into Ben’s new cupping lab, located in their beneficio. We spent a few hours cupping plenty of samples and shortlisted those we like. As a result of this cupping session, we bring you another lovely coffee from Finca El Zarzal. Finca El Zarzal is located on the San Vicente Volcano in central El Salvador. This estate coffee farm contains 40 hectares of coffee and a 10 hectares forest reserve. The farm’s altitude ranges from 1290 -1520 meters.The farm sits atop the Chichontepec Growing Region, one of the smallest of El Salvador’s coffee producing zones. Finca El Zarzal is cultivated with heirloom varieties of Bourbon (Red) and Typicas. All coffee is shade grown under high density native trees. The farm is managed by, Mr Hernan Linares, an agronomist with nearly 40 years of experience working in the coffee industry, Mr. Linares has implemented a lot of quality improvements over the last few years. Shade and soil management, tree pruning and plant nutrition are routinely experimented with and evaluated in the never-ending quest of producing a better tasting cup. 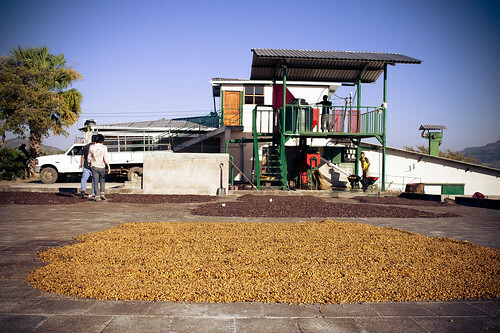 In 2005, the Argueta family set up their own ecological mill, Beneficio Monte Benny, in the town of Verapaz, San Vicente. This micro-mill processes only their own coffee and allows them to have complete control over the quality of the final product before export. Most of the coffee is sun-dried on patio but raised African drying beds are also used to custom process specialty micro-lots. in 2011, the Argueta family began to export their green coffee under its own San Vicente Coffee Company brand. In June 2012, Finca El Zarzal is one of the 28 winners at the El Salvador Cup of Excellence Award for one of its micro-lot. The lots we selected from this year’s harvest are La Cuadrada and Tablon No. 2. La Cuadrada is a component of our Four Chairs seasonal espresso blend, while Tablon No. 2 is the new coffee we are rolling out for brews. Both lots(parcels) are similar in altitude. They run parallel to Loma Alta (another micro-lot we featured last year) which is situated at the highest point of Finca El Zarzal, ranging from 1450m-1520m asl. As a brewed coffee, we tasted red apple acidity (like Red Washington apples) with calming floral fragrance and sweetness. The finish is coated with butterscotch, cocoa and caramel. We enjoy this coffee for it balanced structure. This is an all-rounder coffee, great for morning perk me ups or an afternoon treat.